Uhhmmm, Android has had Google Wallet for a couple of years. I use it in all cabs, supermarkets, pharmacies and on-line – but for some reason it takes Apple’s iPay BS to get some development. Remember, even in the U.S. there are substantially more Android users than iPhone. Hopefully it won’t take too long for Android compatibility. So I have SoftCard enabled on my Windows Phone. It uses the same NFC terminals in stores as Apple Pay, but of course does not have this new integrated update of the OpenTable App. 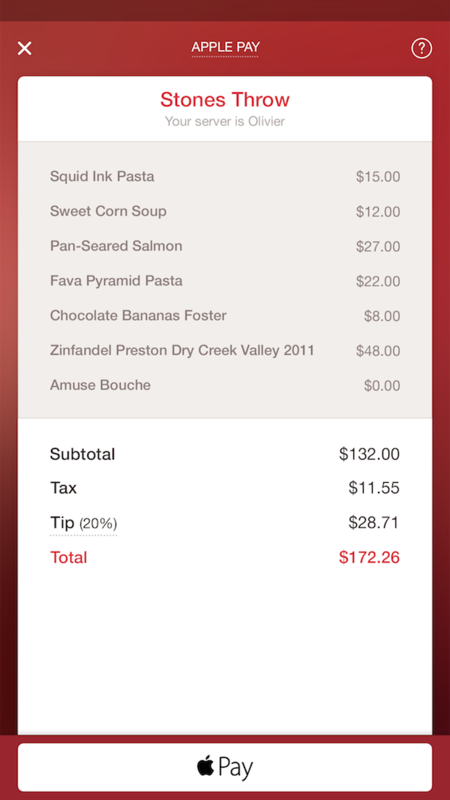 Is OpenTable making this an iPhone exclusive???? Good….but can it split a check? both on apple pay? or one on apple pay and one with a credit card?